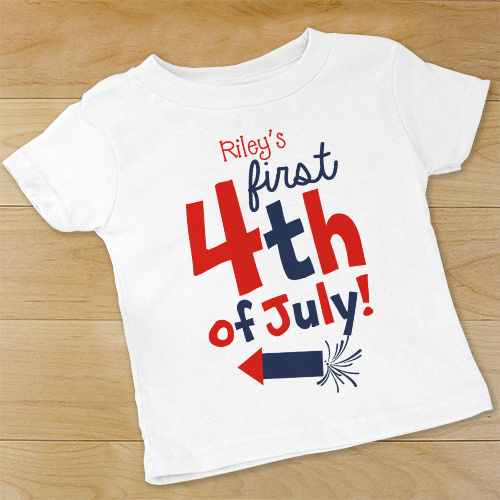 Your baby's first 4th of July is a fun event for the whole family! 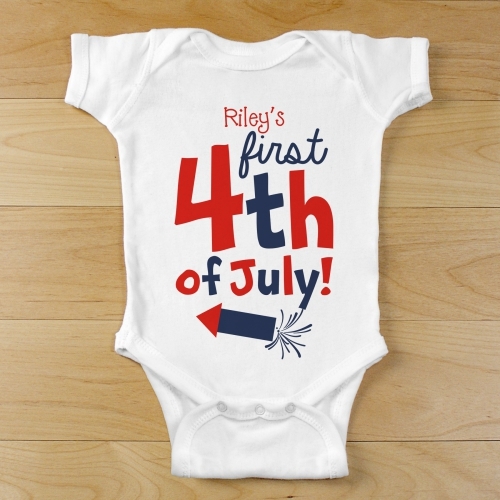 Dress him or her for the patriotic holiday with this infant outfit, personalized with their name. He'll look adorable in one of these Personalized Baby Gifts made specifically for him. All Customized Baby Gifts are customized FREE and ship FAST!